Ready to talk to our sales team? 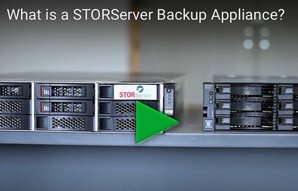 Do you just have questions about STORServer Backup Appliances, Service Offerings or Cloud Offerings? We have many different ways to engage the sales and technical team. Just pick the one that best suits you! Speak to our sales team to find out how we can help you solve the challenges of YOUR data center. Find out why we have a “30-day money back guarantee” and how we provide a data recovery guarantee. Our Authorized Resellers are located in your local area and are prepared to answer any questions you have. Our resellers have been chosen using the highest of standards so that you can rest assured that you are talking to an industry expert. Find a Reseller! Become a Reseller! If you are planning to move your servers to a managed/hosted environment, this option is for you. STORServer has partnered with many Service Providers to provide you with the benefits of STORServer best of breed solution in a hosted environment. Find a Managed Service Provider! If you know what you want and can answer some simple questions about your current environment, use this data backup solution wizard to help us put a preliminary solution together for you.